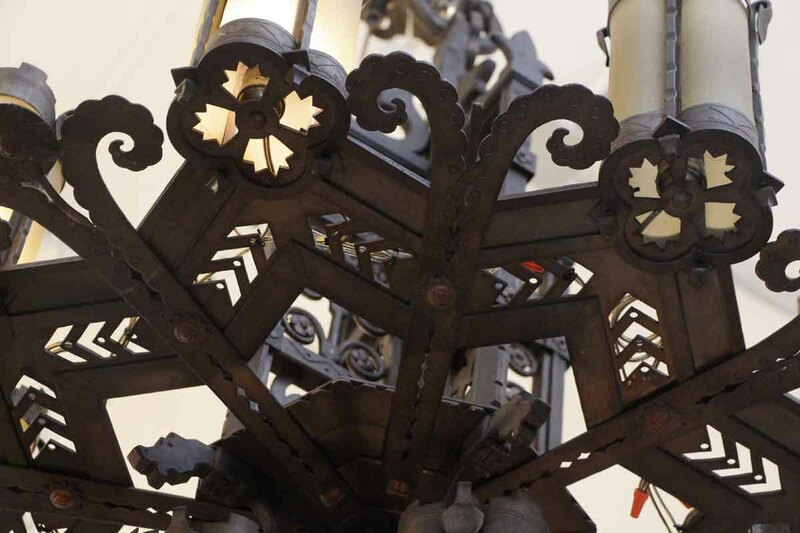 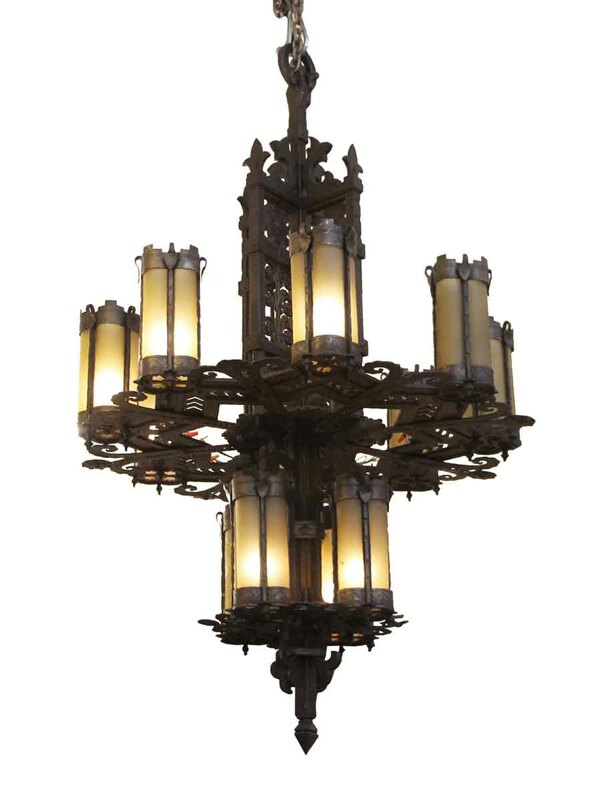 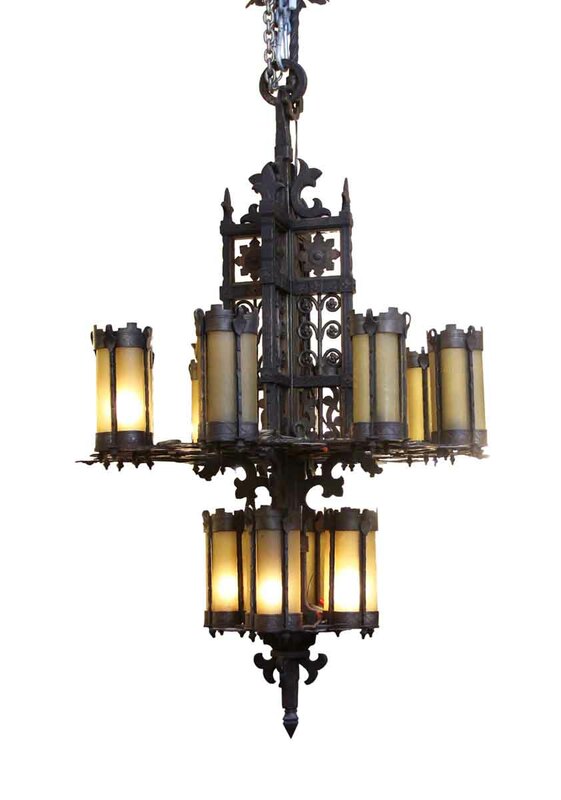 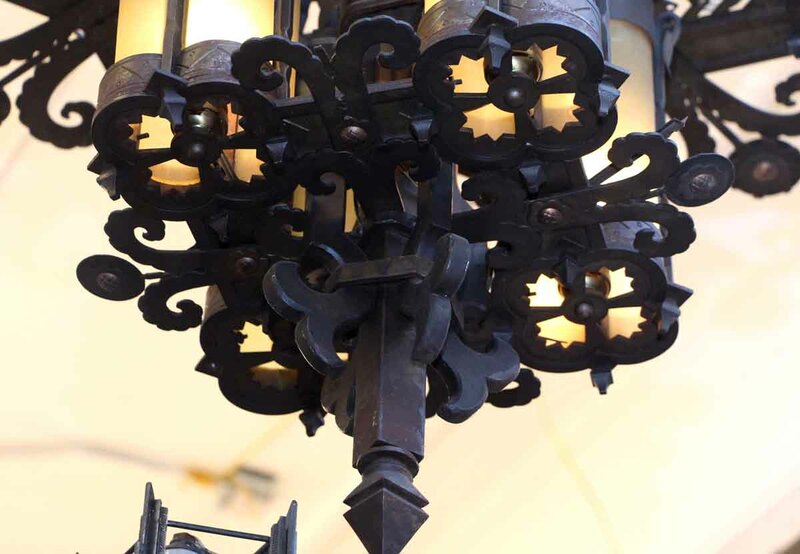 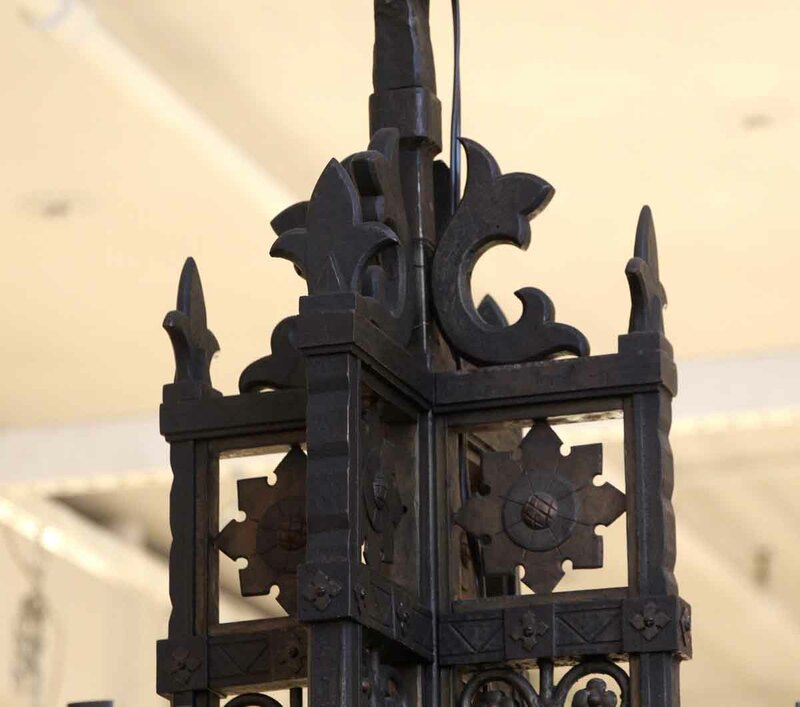 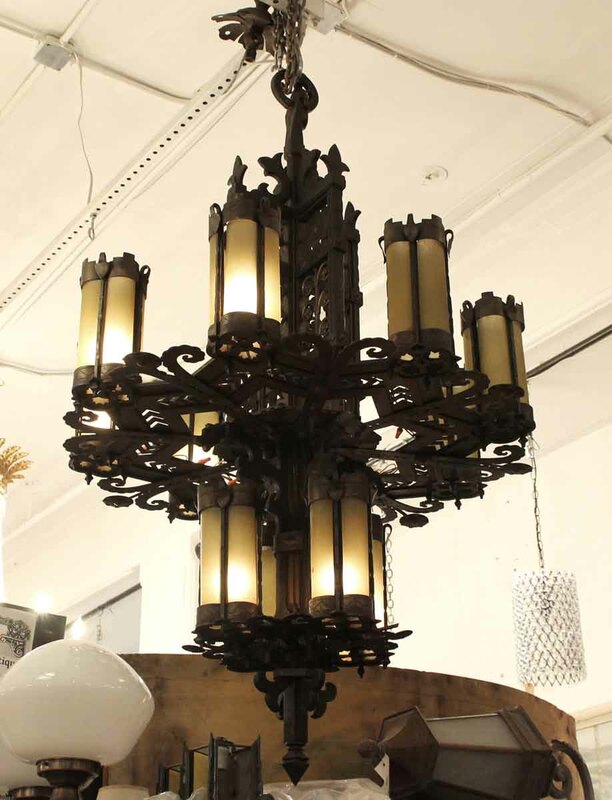 This is an incredible huge wrought iron chandelier salvaged from the Williamsburg Savings Bank Tower, 1 Hanson Place, Brooklyn, NY, which was built in 1927. 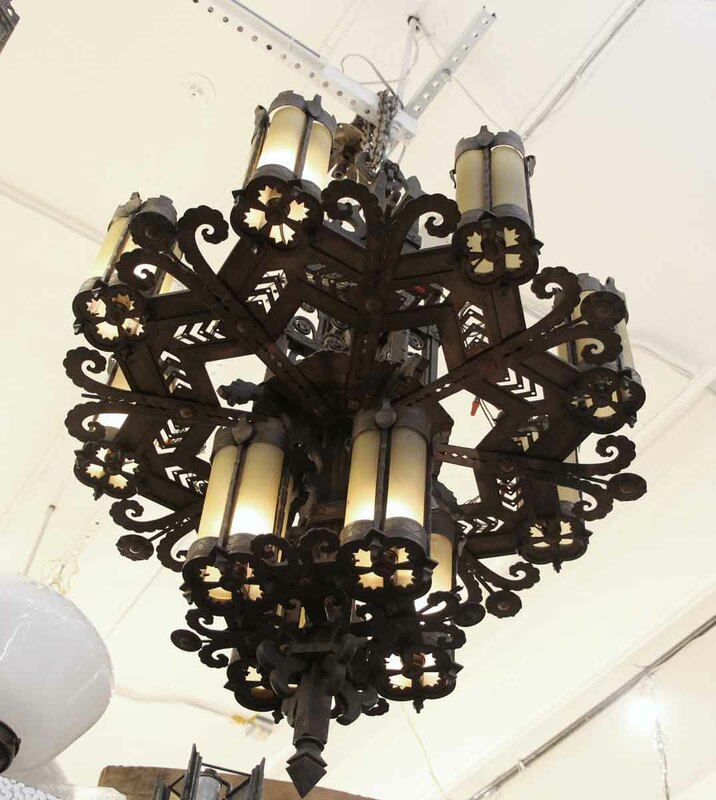 This landmark building is a Brooklyn icon! 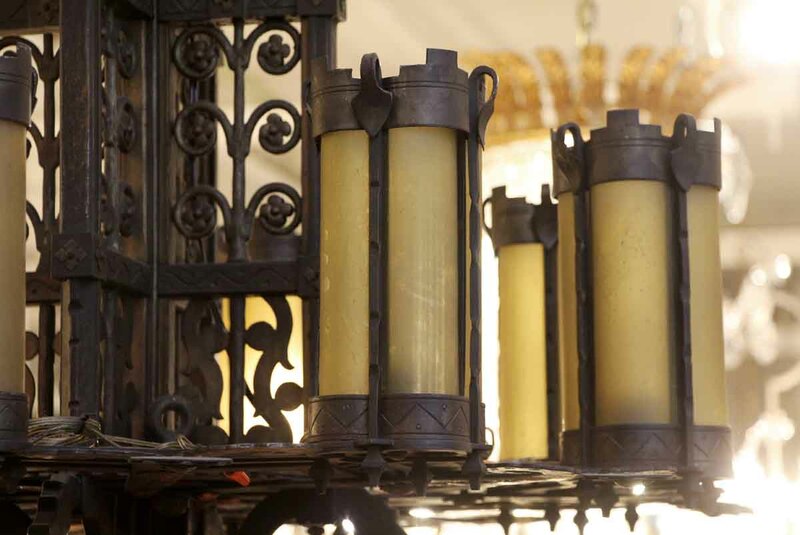 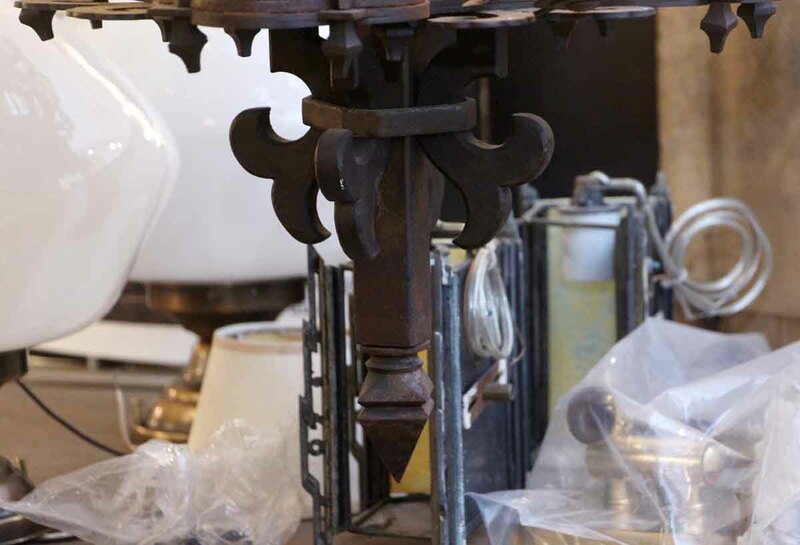 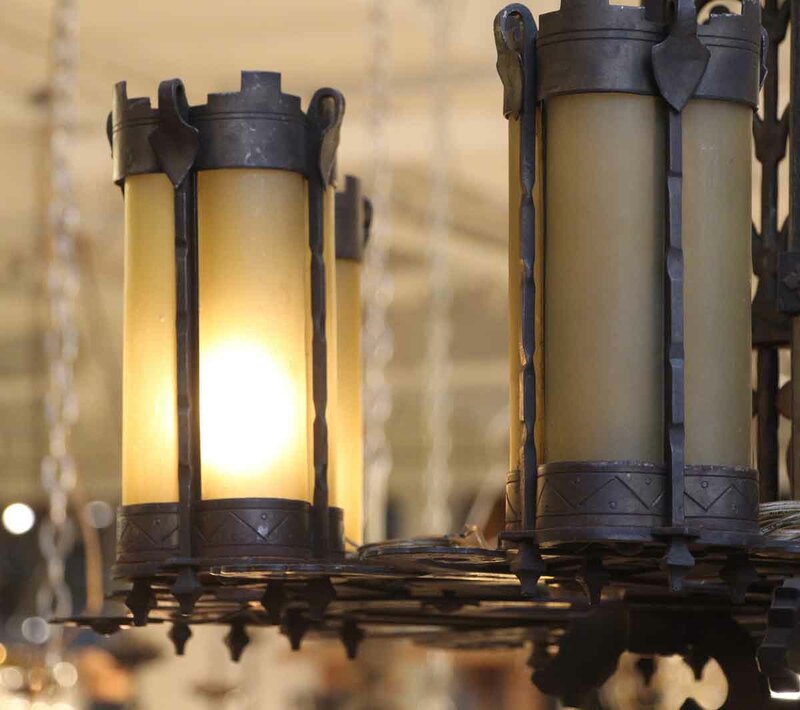 It features two tiers of lights with curved amber glass and a massive iron frame with great hand forged details throughout.